Former Home Affairs minister and Zanu PF Secretary for administration, Obert Mpofu told the Commission of Inquiry into the post election violence that MDC President Nelson Chamisa admitted to losing the July 30 Presidential elections in a recorded phone conversation. Appearing before the commission of inquiry today, Mpofu said he contacted the opposition leader in a bid to refrain his alleged party followers who were demonstrating against Zimbabwe Electoral Commission (ZEC) delays in releasing presidential results. “I looked for his number i called him (Chamisa) on August 1. I recorded the discussion as I always do with suspicious characters. 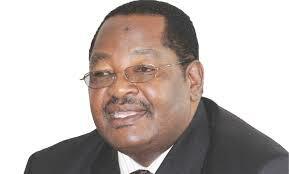 He admitted that he had lost elections and he was throwing some aspersions on the Vice President,” Mpofu said. Chamisa who also appeared before the commission yesterday maintained that he won elections by over 57 percent. Meanwhile Mpofu said that he was involved in all the processes leading up to the deployment of the military to quell protests on the 1st of August. “I wrote to minister of defence and the reply was given to me and I sent back the feedback to the police Commissioner General,” added Mpofu. He denied that the military shot civilians on the fateful day, blaming the opposition for ‘hiring snipers who shot into civilians’ to soil the peaceful campaign period President Emmerson Mnangagwa had successful led in the country.